It’s that time of month again where we share our handy tips and tricks on how to create cute craft projects. This month we’re taking a look at what you can create for the home and we have come up with this super easy tutorial on how to create a unique bowl out of buttons. Firstly, you will need to take one balloon and blow it up to the size you want your bowl to be as you will create your bowl shape using the curve of the balloon. Hold the balloon at the end with the knot and take your paint brush, dip it into your glue and cover the other end and sides (to the point where you want the bowl to end) in glue. 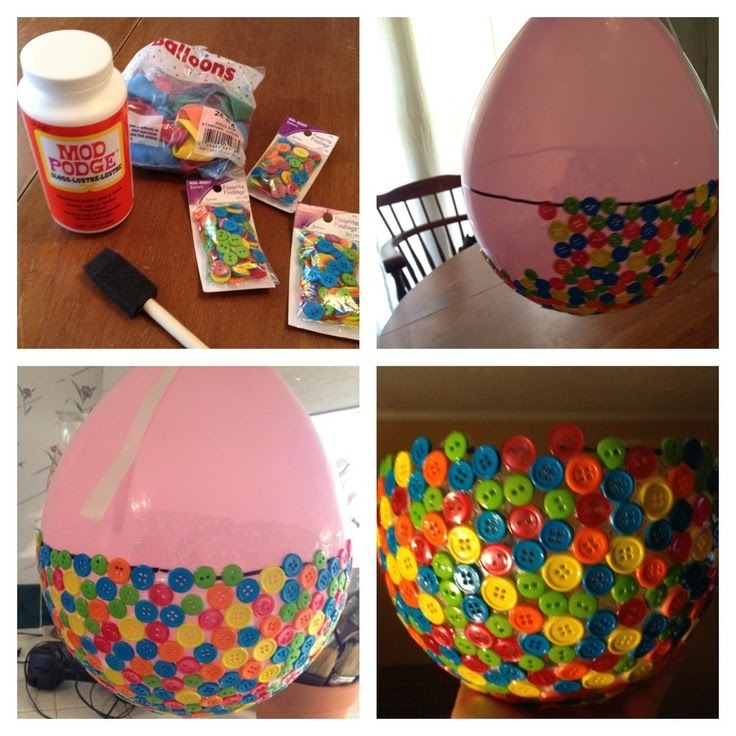 Let the glue dry completely, to do this place the knot end of the balloon in a cup or can to balance the balloon. When the first layer is completely dry, apply a second coat of glue using your brush. Start at the top of the balloon and work your way down toward the knot. Attach buttons to this layer as close together as you can fit them. When you are finished attaching all of your desired buttons turn your button covered balloon upside down in your cup or can so that the knot is in the air and the buttons are balanced on the cup. When the second layer of glue and buttons is completely dry you will need to coat the buttons again with a third layer of glue. When your bowl is completely dry use yours scissors to cut the knot on the balloon to slowly let the air out. Use your scissor to snip any unwanted glue bits away from the button edge and there you go, your very own button bowl!